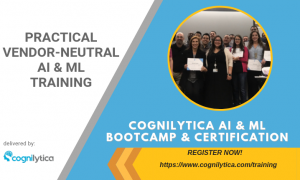 Cognilytica has spent a considerable amount of time on AI use cases and how different industries are using various AI and cognitive technologies and we’ve found that there are seven common patterns that seem to continuously show up in all these use cases. Some use cases use a single pattern for their application while others combine a few together. 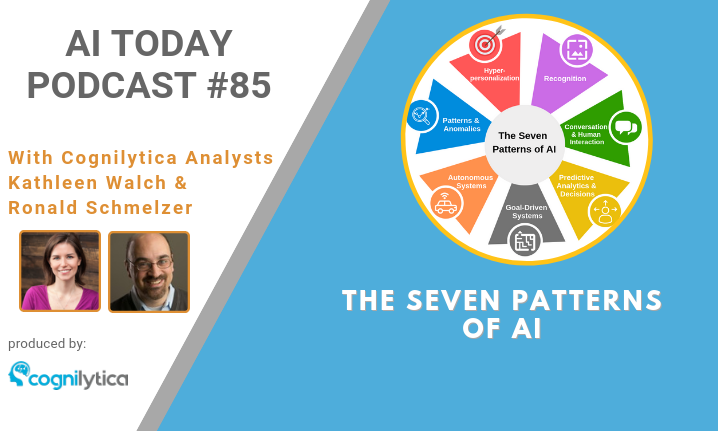 In this podcast hosts Kathleen Walch and Ron Schmelzer review the seven patterns of AI and provide examples of how to apply those patterns individually or in combination with others to achieve the desired end-goals of your AI and machine learning systems.